Come join our swing circus cabaret in the beautiful setting of the Trinity Arts Centre's Fyfe hall. 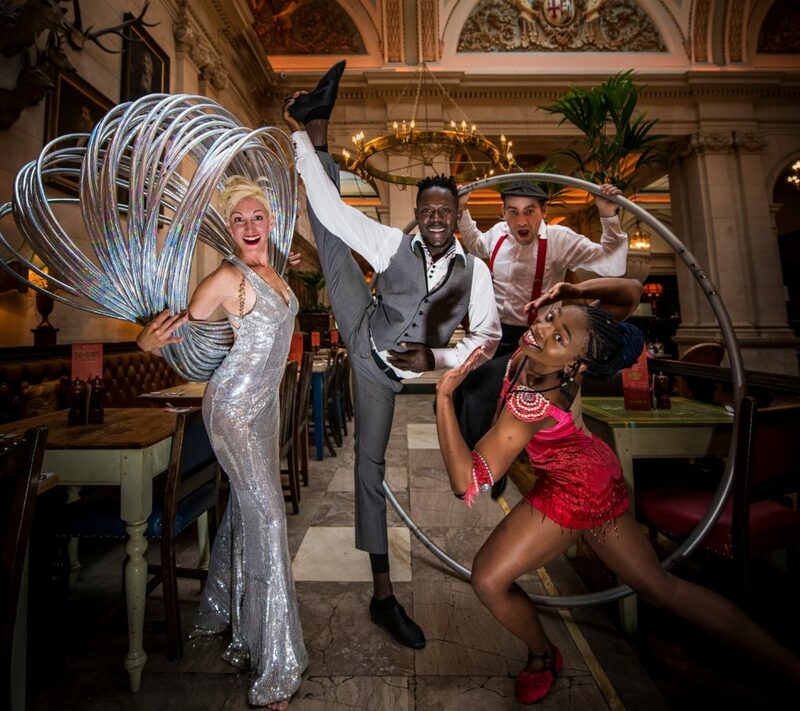 Performances include our specialist lindy hop choreographer from BBC's Strictly Come Dancing, hulahoop, cyr wheel, hand-balancing and juggling, plus the joyous combination of traditional african and afrofusion jazz dance. Compered by the ever-lovable and always hilarious Marky Jay. After the cabaret show those of us who want can strut our stuff on the dance floor. With a mixed soundtrack of traditional swing, some modern swing fusion, and some more rootsy african tracks there is something for everyone from any part of the day with us. Try out some partner dancing, dance your own solo jam and have fun with the Swing Circus crew! Swing Circus is passionate about representation and diversity, this means acknowledging the African American roots of Swing as a cultural response to oppression. By working with this joyous artform we seek to bring power to marginalised histories and pleasure to the audiences we share it with. Please arrive early for 7pm start. Bar will be open before the performance.